A Power of Attorney is a document that authorizes another person, known as the agent, to act on behalf of the principal. It is used to delegate to the agent any power that the principal has or wishes to give. It can be used to enter into contracts or to sign checks in order to pay bills. 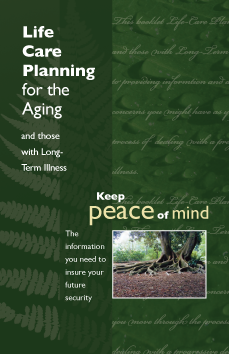 The Power of Attorney is a valuable tool for the lifetime management of an individual’s assets. The agent’s powers are limited to those powers listed on the document. The Power of Attorney is a lifetime planning tool that is used as a substitute for a court appointed guardian, which can be a time consuming and expensive process. A Durable Power of Attorney survives the incapacity of the principal. A Power of Attorney can be effective immediately or it can be Springing, which does not become effective until the principal becomes incompetent. A Power of Attorney can be General, giving the agent the authority to do virtually anything, or it can be Limited, giving the agent the power to do only certain types of transactions, like closing the sale of real estate. All Powers of Attorney terminate upon the death of the principal.